When it comes to your furry family members, nothing is more important than keeping them safe. 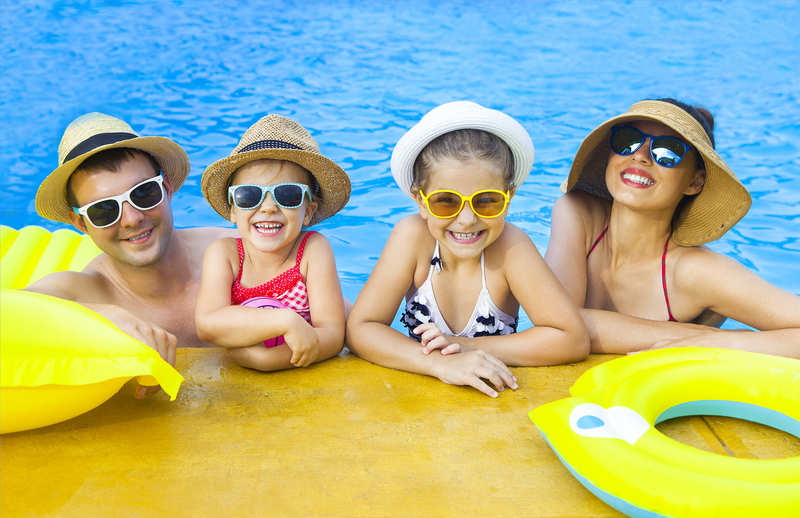 And if you have a pool, then safety is on your mind—no matter the season, rhyme or reason. Although winter is in full swing, your beloved pet—whether that may be a dog cat or hopping bunny rabbit—your main concern is keeping them safe from your backyard pool. Here are some great ways to shield them, protect them and guard them from potential harm. One of the most basic and efficient ways you can keep your furry friends safe, is by ensuring your pool is properly covered. 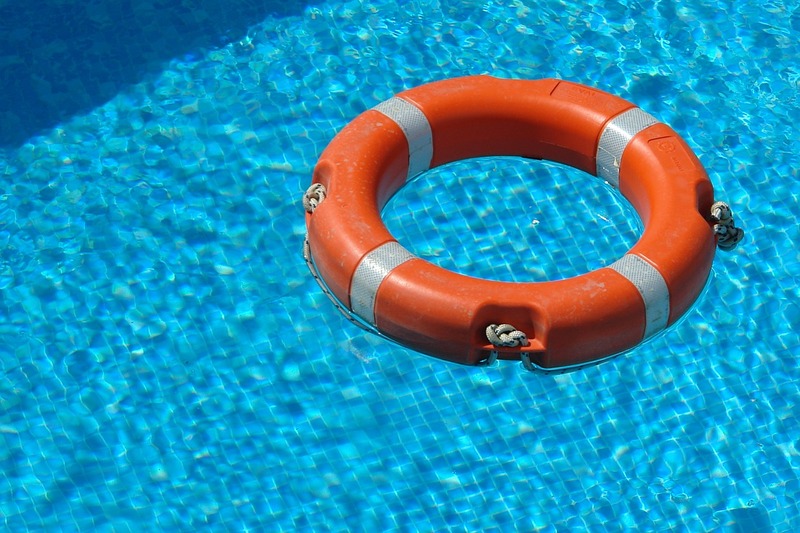 At Royal Swimming Pools, you’ll find a wide range of covers to keep everyone safe and healthy (including the overall health of your pool, itself)! Even water dogs such golden retrievers or Labradors can suffer from hypothermia in the winter months, or without the proper training, become unable to get out of the pool independently. At Royal Swimming Pools, you’ll find a variety of automatic and manual pool covers, as well as on-deck track pool covers. Find the perfect cover for you based on your budget, size and color. When it comes to your pets, nothing is more important than keeping them safe! Whether you have a pool or hot tub, purchasing a pool alarm for your dog is always a good idea. The truth is, no matter how much you trust your pet, you can’t trust him around water. Did you know that even a pool cover that doesn’t drain rain water, your pet can drown from playing or drinking from the puddle? When your dog wears a pool alarm, it will notify you every time your pet comes close to the pool, hot tub or other body of water. It clips to their collar and gives you peace of mind—a win/win when it comes to pet safety! While your spouse, kids (and even your pesky, free loading neighbor!) knows how to properly and safely get out of your pool, does your dog? 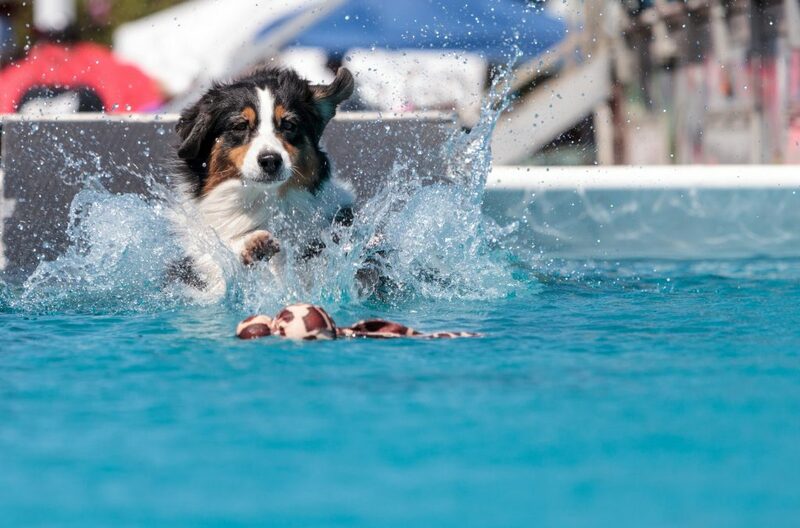 Many pet owners make the mistake of failing to train their dog for pool safety—which can lead to a fatal mistake for some dogs who aren’t as strong a swimmer as other breeds are. Teach your dog where the steps in your pool are, and train them to get up and out of the pool, effectively. 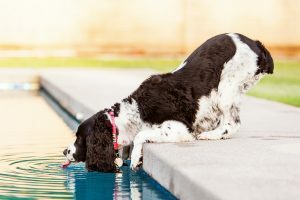 Also, installing a fence around your pool is another easy and effective preventive measure to ensure that your dog’s stay healthy all year long, no matter how much time they spend outside, unsupervised. Be aware of your pet’s swimming abilities. Realize that this ability is not a given, no matter the breed & will diminish greatly in the evenings and as they age. Make sure your pet knows how to get out of the pool. Even if your pet is not allowed in the pool, accidents happen. Practice having them get out of the pool several times, so they can exit easily should they get tired or just want out. Consider purchasing a pet pool ramp designed to provide your pet their very own exit. Practice the “come” command to get your pet out of the water. Pets can be stubborn and may not get out on their own if they are growing tired. Training them to “come” could help keep playtime from turning dangerous. Invest in a life vest. Make sure it fits well, is comfortable for your pet and is highly visible. Like a baby monitor for your pool, an alarm will sound if anything over a certain weight (usually 15lbs) falls into your pool. They also make pet collar alarms that will sound if they become submerged. But remember - alarms are only as effective as the person listening for them. Nothing replaces supervision. Brush up on your Pet CPR. 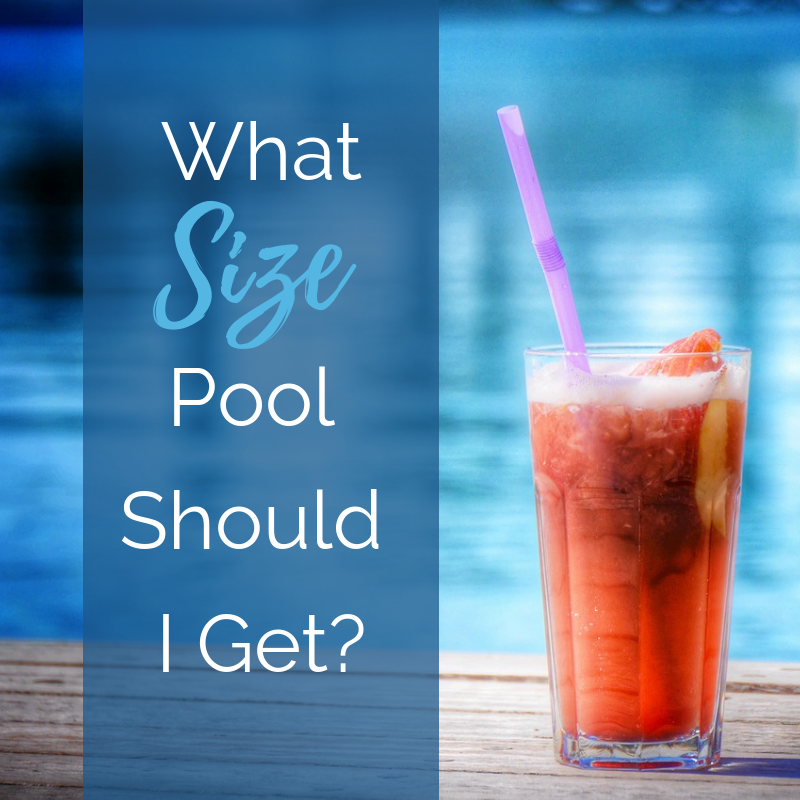 Having a pool is a luxury, and a privilege—so in order to take advantage of it to the fullest, you’ve got to keep everyone safe (including your furry friends). Taking the precautions we have already covered is a great start, but accidents can still happen. Should the need arise, make sure you are armed with every tool necessary to prevent the loss of a pet, including CPR. By following our guide above, you’ll be able to do just that—all year long. What are some other ways to keep your pets safe around the pool? Drop us a line in the comments below!